Struggling to get your voice heard in today’s crowded digital landscape? You’re not alone. Fortunately, there’s another way. And it’s becoming very popular. Enter influencer marketing. In a previous post I discussed the benefits of connecting with local influencers. But how can you leverage local influencers? Identifying suitable influencers is an important first step. You then need to reach out, build a connection and leverage their voices to communicate your brand’s message (Sujan Patal). How can you successfully execute this? In this article, I’ll walk you through how to find, connect, and leverage local influencers. It’s a great way to untap opportunities in international markets. Once you’ve pinpointed the specific geographical market that you want to reach, the first step involves identifying local market influencers. They might be print authors, bloggers, industry leaders, consultants, or media figures. You may already have in mind which influencers you want to reach out to. But are they going to impact the bottom line? The point is you need to identify authority figures in your field of expertise who have influence and impact in the local market you are trying to reach. How can you do that? Social media is a great starting point for finding influencers. Twitter’s advanced search options lets you search for specific search terms by country/city and language. From there, you can identify who is talking about your niche in the target country. Check engagement with their posts to identify the top influencers. You could also use a tool like ninjaoutreach to search for the top bloggers or Twitter influencers in your target market. Following this exercise, you might have accumulated a long list of prospective influencers. Take care to select influencers that are compatible with you brand. Not every brand fits with every audience (Marketing Profs). Pick out those that speak to your target audience, have local influence, and have the potential to deliver your message to their audience. Once you have identified your influencers, you need to reach out to them. To be successful in your initial outreach, there are some important things that you need to take into account. Let’s consider these factors now. Influencers are people, so you need to make a personal connection with them first (The Shelf). Before making a proposal, you need to gain their interest, demonstrate value and start building a relationship. So rather than just shooting your proposal cold, its best to warm up your influencer first. Consider sharing and commenting on their posts, or complimenting them by saying how you enjoyed the latest episode of their podcast. Influencers have a lot of people trying to get their attention. So, take the time to customize your message to each influencer in your initial outreach. To get them to take notice you also need to intrigue or surprise them. With that in mind, offer something different and of real value to them. Which channel will you use to reach out to them? Twitter is a great place to find influencers. It’s also quick and easy to spark up a conversation on the network. The character limit might mean you look to deepen the relationship on other networks such as Facebook and LinkedIn. Tiffany Monhollon at ReachLocal argues that you should: “Reach out the way they want to be reached, and you’re more likely to build a connection.” Ultimately, the networks you choose will depend upon who you are targeting and your objectives for connecting with them. So, before deciding, ask yourself: Is the influencer active on this channel? Do you have their contact details? Is it a suitable medium to convey your proposal? Check the influencer’s website to find their preferred method for communication. 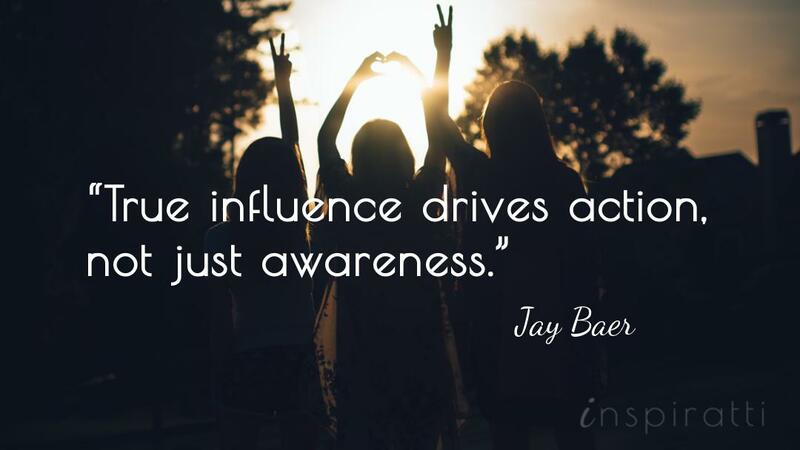 Once you’ve made a connection, you should take steps to realize your goal in using influencer marketing. Before creating a proposal, take the time to consider how influencer marketing fits in with your overall marketing strategy and other marketing activities you are executing in the target market. In fact, this should be at the top of your mind when you first start thinking about creating an influencer marketing program. So, you’ve worked out how it will benefit you, but what about the influencer? How can you get the influencer’s buy-in? Let’s consider some important points for winning over even the most difficult of influencers. Make sure your proposal is highly targeted to the individual influencer and their audience. You need to demonstrate that you care about working with this influencer and are keen to deliver value to their audience. This involves ensuring your product is relevant to the influencer. Firstly, because it benefits the influencer: influencers strive to provide value to their audience. Secondly, because it benefits you: you want influencers who can talk organically about your product and can reach out to an audience who are interested in knowing about it. After all, influencers influence their target demographic – not every target demographic. For example, a designer handbag company would be wise to reach out to bloggers on luxury fashion rather than budget clothing. Take steps to prove your worth and/or value of your product (Sujan Patal). You need to offer content or products that will provide value to their audience, whether it be a fantastic experience or valuable information. Influencers don’t want to risk their time or reputation reviewing a poor quality product. So, put yourself in the influencer’s position and consider how you can offer something to the influencer that will make them look smart for sharing it. Then explain precisely how your product will benefit the influencer and their audience’s needs in your proposal. Respect the influencer’s time by making your proposal short, easy to understand and respond to. This means your proposal should be specific. Maybe you offer a tool that could help resolve a common audience problem more efficiently or effectively. Might the influencer be interested in reviewing your product? Or could they mention your product in one of their videos or blog posts? You want influencers to promote your brand or product. But you also need to consider what’s in it for them. If it’s going to work, you need to ensure you develop a mutually beneficial relationship (Sujan Patal). There are different ways of offering value to the influencer. The most obvious is financial compensation. However, “If you paid influencers to endorse your brand, would their audiences trust their recommendations?” The answer: it ultimately depends on your strategy. You need to carefully pick influencers that will genuinely appreciate your product’s value. In turn, they will present it in an authentic way to their trusting audiences for maximum impact (Search Engine People). An influencer who genuinely believes in your product will send a more sustainable stream of customers (Sujan Patal). They are also less likely to request financial compensation. So, what nonfinancial incentives can you offer? You could offer free samples of your new product in return for reviewing it. Or you could offer your product at a discounted rate to their readers. The opportunities are limitless. “An influencer outreach program is quickly becoming indispensable to the modern digital marketing strategy. Influencers are more valuable to brands now than they’ve ever been for their ability to deliver on social chatter, earned media, and action”. So how can we guarantee success with influencer marketing? As Desirae Schneider argues, influencer marketing is about people, not processes. So, you need to factor that into your influencer program from start to finish. The human mind is unpredictable which leads to surprising and unexpected outcomes. Succeeding with influencer marketing depends upon identifying trustworthy influencers who are genuine advocates for your brand, and maintaining relationships with them so they continue to share a positive message. So, take time to build real relationships with influencers. Then make an irresistible offer that is personalized and relevant to them. This post has equipped you with the knowledge and tools. All that’s left is to put it into action. So, what are you waiting for? Start engaging, connecting, then let me know how you get on in the comments.